Units from the US military and Japanese Self-Defense Forces have begun Exercise Keen Sword at military installations throughout Japan and in the surrounding waters to highlight the capability of the allies. About 10,000 US service members from commands such as US Pacific Fleet, US Forces Japan, 7th Fleet, 5th Air Force, 374th Airlift Wing, 18th Wing, 35th Fighter Wing, and III Marine Expeditionary Force will take part. 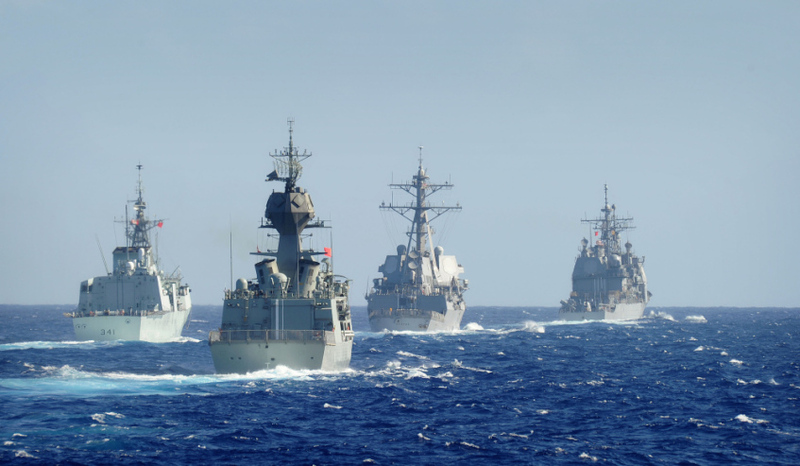 Lieutenant General Jerry Martinez, commander of US Forces Japan said, "Keen Sword will give US and Japanese forces an opportunity to practice critical air, maritime and amphibious capabilities essential for Japan’s defence and for regional security." Two Royal Canadian Navy ships will participate in the maritime portion of the exercise for the first time, along with observers from several other partner nations. Exercises like Keen Sword provide the JSDF and US military opportunities to train together across a variety of mission areas in realistic scenarios to enhance crisis response capabilities. "On behalf of the 54,000 men and women of US Forces Japan, I am proud to be a part of this alliance that is so essential to our two nations’ shared interests. We look forward to working side by side with our Japanese allies to make this important bilateral exercise a success," LTGEN Martinez said.